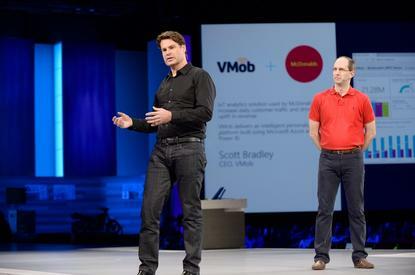 VMob’s data and business intelligence is now available through Microsoft Power BI. VMob’s data and business intelligence is now available through Microsoft Power BI, a cloud-based business analytics service that provides a single view of the most critical business data. On a cloud-based personalisation platform built specifically for retailers and QSRs, VMob technology combines social profiling, geo-location and transaction history to provide valuable customer data in real-time. The company’s technology also measures the return on investment of digital marketing by tracking how campaigns convert customers from online to the larger business opportunity of being loyal brick-and-mortar shoppers. With the VMob content pack now available through Power BI, CEO Scott Bradley believes more retailers can benefit from the closed-loop analytics that lead to business improvement. “The vast amount of meaningful data that spans the customer lifecycle is essential to the success of retailers and QSRs,” he says. “Yet, understanding precisely how to use that data to increase sales requires advanced technical capability that previously took significant time and resources. “The VMob content pack on Power BI fills this requirement via an easy to use solution. Rather than having to access data from the VMob platform and then building custom data sets in Power BI to display them, Bradley says the pre-built integration enables users to visualise information in customised dashboards. As a result, users can immediately understand the data collected by VMob throughout the customer engagement cycle, including in-app mobile behaviour, in-store data from beacons, Wi-Fi and near field communication (NFC) and purchase data. Since the VMob platform is already integrated into point of sale (POS) and other digital touch-points such as mobile, web, email and in-store digital displays and provides a single view of all aspects, Bradley says retailers and QSRs can use a single interactive dashboard for all customer data. “One of our pioneering partners in the practical application of marketing insights and analytics, VMob demonstrated McDonald’s success with Power BI at our annual Worldwide Partner Conference this year,” adds James Phillips, Corporate Vice President of business applications, platform and intelligence, Microsoft. “Having proven its ability to deliver value to its customers through big data analytics, this value is now being opened up to the market through VMob’s Power BI content pack. Given the growing number of channels competing for consumers’ attention, Bradley believes understanding the methods most effective in driving in-store purchases can have a ‘definite impact” on a business’ success. “Our integration with Microsoft Power BI makes it easy for retailers to visualise and understand vast stores of customer data and take the actions that lead to increased loyalty, higher conversion rates and additional revenue streams,” he adds.